A recent World Trade Organization (WTO) ruling found that that the United States was inconsistent in its legal stance on Internet wagering because it claimed that all Internet wagering was illegal, but nonetheless allows pari-mutuel wagering over the Internet under the Interstate Horseracing Act. The WTO ruling is unusually complex and may require a multifaceted response to reach a resolution. The United States now has approximately one year to make the necessary legislative or administrative changes to existing law to make it internally consistent. Clearly, the NTRA will not accept any solution that entails the elimination or curtailment of Internet pari-mutuel wagering in this country. The office of the United States Trade Representative (USTR) is charged with seeking a solution to the WTO ruling. 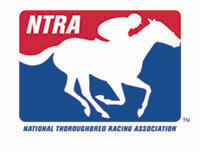 NTRA has met with representatives of the USTR and plans to contact members of the Congressional Horse Caucus as well as key members of committees associated with equine and racing interests (Agriculture, Appropriations and Judiciary) to bring additional pressure to bear on the USTR. State Attorneys General also have petitioned the USTR to resolve this matter in favor of the states and re-assert their sovereignty over matters pertaining to gaming in the United States. A draft bill for Internet gaming is currently being circulated in Washington by Sen. Jon Kyl (R-AZ). Sen. Kyl’s bill does not include an explicit recognition of horse racing’s authority to conduct pari-mutuel wagering on the Internet – a departure from the four previous versions of this bill, which contained specific language to enable the continuation of account wagering. We continue to work with Sen. Kyl’s staff on this issue and believe that their intent is to codify what constitutes “illegal” gaming, not to make illegal what is clearly legal (pari-mutuel wagering).